Lead economist, Development Research Group, World Bank. 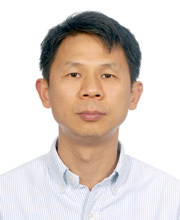 Graduated from Peking University (BA, MA) in 1989, University of Chicago (Ph.D) in 1996. He has been working at World Bank since 1996. His research covers a wide range of applied microeconomics and development topics. More than half of his papers are about Chinese economy. He has published more than 50 journal articles such as in American Economic Review, Review of Economics and Statistics, and many top field journals in finance, labor, development, growth, law and economics, organization, and comparative economic system. He has many papers being listed at syllabuses of top universities. His papers have also been selected into Edgar Reference Collection, and mentioned by The Economist, Marginal Revolution, NBER Monthly Digest. His work has been cited 7500 times by Google Scholar.